Cover-ups pose many challenges a fresh canvas does not. Still, you can see Tracy making some magic happen here. 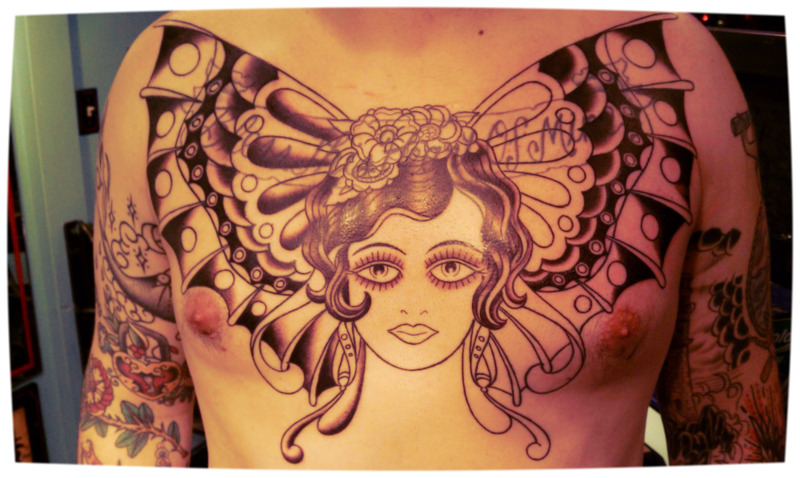 Cover-up in progress by Tracy Zumwalt. Cover-up after by Tracy Zumwalt.